Join Corcoran Trucking - Corcoran Trucking, Inc.Corcoran Trucking, Inc.
Corcoran Trucking, Inc., is based in Billings, Montana, with operations reaching from the wide open frontier of Alaska to the Bakken Oilfields of North Dakota, and across the stretch of the lower 48 states. While the economy continues to be a challenge for all businesses, Corcoran Trucking has increased its fleet size by staying true to its mission: to be the industry leader in honesty and premier service. Our customers have recognized we are committed to top-notch service and they have rewarded us with steady business. Over the years, Corcoran Trucking, Inc., has grown with diversity to handle the needs of our customers. Since 1965, our priority has been to provide excellent customer service. 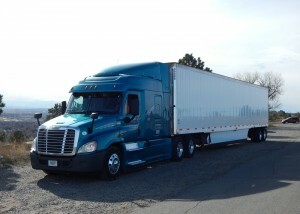 We strive to deliver solutions based on business demands, with full service reefer and flatbed divisions. We also boast an in-house logistics broker to ensure your loads are covered and on time. As it was in the beginning, Corcoran Trucking still remains a family-oriented business. In 1991, Ed and Kaye’s son, John Corcoran, was appointed President and Chief Operating Officer, while Ed Corcoran, Jr., manages the 401K plan designed to assure a good retirement and financial success for their valued employees, and several other family members also sit on the Board of Directors. Being family owned and operated, Corcoran Trucking provides service with a personal touch, yet is competitive enough to handle the service needs of our customers. Corcoran Trucking, Inc., maintains a staff of customer service representatives that monitors and expedites the movement and delivery of each load with unparalleled expertise. We are proud to have a solid commitment to complete customer satisfaction. We set the standards for high quality transportation. Corcoran Trucking, Inc., and Corcoran Logistics, LLC, provide solutions to balance our available equipment with current customer needs. Our highly trained and experienced staff is service oriented and will handle the most complex transportation needs. What qualities are you looking for in your next employer? At Corcoran Trucking, we aim to not only provide exceptional customer service to our customers, but also to serve our drivers as well. When you join the Corcoran family, we offer you competitive per mile pay rate, with the opportunity to attain multiple bonuses throughout the year. Many of our drivers also receive tenure bonuses, as we like to reward all those who choose to call our company theirs for 10, 15, or 20 plus years. On top of this, you will have access to full medical, dental, and vision insurance, and a highly desirable retirement plan. We also realize that work is not your life. While most companies give you little to no control, Corcoran dispatchers work with you to provide flexible routes, get you home regularly, and allow you to maintain your own schedule. We would love the opportunity to discuss the full spectrum of benefits Corcoran Trucking offers. Contact Diana today at 1-800-745-6065 to discuss your future with the Corcoran family!